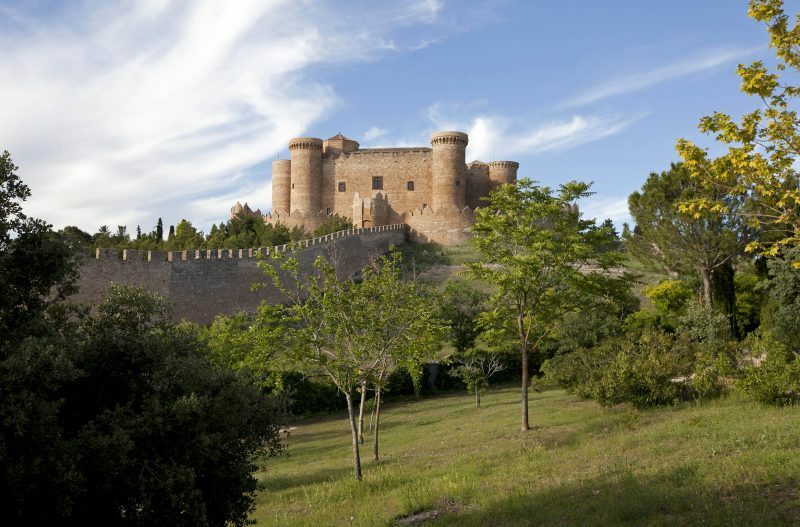 Dazzlingly romantic, this exceptional palace featuring a Castilian-Manchego style, sits on the northern hillside of the Belmonte Castle (built in the 15th century), next to the San Cristobal mountain. Thanks to its privileged location it boasts superb views. The interior of the property has a spacious lounge with high ceilings and access to a French billiard room, a dining room and a large open plan kitchen with a wood-burning oven, as well as an events room. It has a total of seven bedrooms with en-suite bathrooms (the master bedroom with a whirlpool bath) and television. 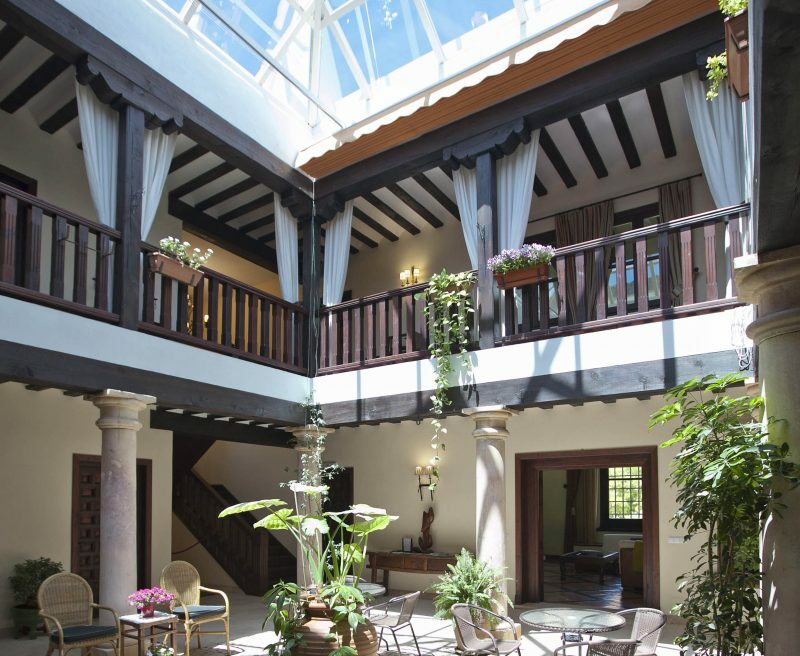 Its charming inner courtyard is perfect to spend pleasant moments with your family or friends, while its exterior invites you to enjoy a vast garden with 120 olive trees, organic vegetable garden, parking facilities and a recreational area with a fabulous swimming pool and a barbecue. The property includes a pool that faces out over the countryside. 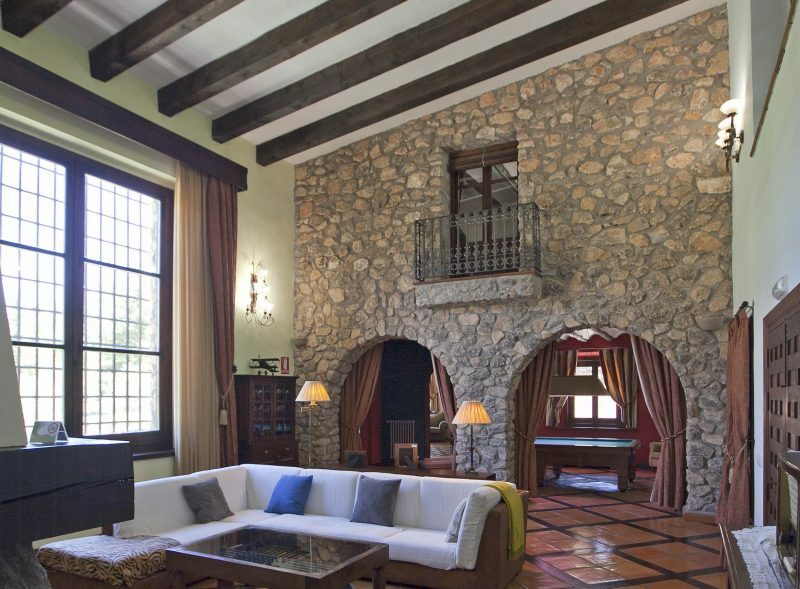 This romantic Spanish estate is listed with Inmobiliaria Rimontgo, an affiliate of Luxury Portfolio International®.